In the previous posts, we touched upon the dynamics of the shadow archetype that hides the inner person that exists inside us. The key to a optimum psychological state of health requires that we get understand the hidden depths of our souls and psyches. Here is a remarkable story about coming to terms with one’s shadow, compliments of NY Times and the Failedmessiah–two excellent websites. Pawel in the Warsaw synagogue. A former truck driver and neo-Nazi skinhead, Pawel, 33, has since become an Orthodox Jew, covering his shaved head with a yarmulke and shedding his fascist ideology for the Torah. WARSAW — When Pawel looks into the mirror, he can still sometimes see a neo-Nazi skinhead staring back, the man he once was before he covered his shaved head with a yarmulke, shed his fascist ideology for the Torah and renounced violence and hatred in favor of God. “I still struggle every day to discard my past ideas,” said Pawel, a 33-year-old ultra-Orthodox Jew and former truck driver, noting with little irony that he had to stop hating Jews in order to become one. Pawel, who also uses his Hebrew name Pinchas, asked not to use his last name for fear that his old neo-Nazi friends could target him or his family. 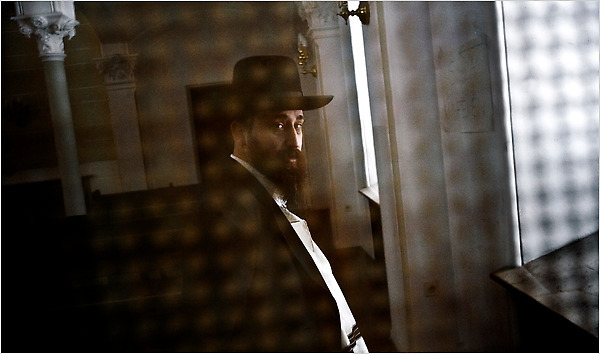 Pawel is perhaps the most unlikely example of a Jewish revival under way in Poland in which hundreds of Poles, a majority of them raised as Catholics, are either converting to Judaism or discovering Jewish roots submerged for decades in the aftermath of World War II. Before 1939, Poland was home to more than three million Jews; over 90 percent of them were killed by the Nazis during the Holocaust. A majority of those who survived emigrated. Of the fewer than 50,000 who remained in Poland, many either abandoned or hid their Judaism during decades of Communist oppression in which political pogroms against Jews persisted. But Rabbi Michael Schudrich, the chief rabbi of Poland, noted that 20 years after the fall of Communism, a historical reckoning was finally taking place. He said Pawel’s metamorphosis illustrated just how far the country had come. Five years ago, the rabbi noted, there were about 250 families in the Jewish community in Warsaw; today there are 600. During that period, the number of rabbis serving the country has grown from one to eight. The cafes and bars of the old Jewish quarter in Krakow brim with young Jewish converts listening to Israeli hip hop music. Even several priests have decided to become Jewish. Pawel’s transformation from baptized Catholic skinhead to Jew began in a bleak neighborhood of concrete tower blocks in Warsaw in the 1980s. Pawel said he and his friends reacted to the gnawing uniformity of socialism by embracing anti-Semitism and an extreme right-wing ideology. They shaved their heads, carried knives, and greeted each other with the raised right arm gesture of the Nazi salute. One day, he recalled, he and his friends skipped school and took a train to Auschwitz, the Nazi death camp, near Krakow. “We made jokes that we wished the exhibition had been bigger and that the Nazis had killed even more Jews,” he said. He says his staunch Catholic parents, a teacher and a businessman, suspected he was a skinhead, but hoped it was just a phase. Even as Pawel embraced the life of a neo-Nazi, he said, he had pangs that his identity was built on a lie. His churchgoing father seemed overly fond of quoting the Old Testament. His grandfather hinted about past family secrets. Pawel joined the army and married a fellow skinhead at age 18. But his sense of self changed irrevocably at the age of 22, when his wife, Paulina, suspecting she had Jewish roots, went to a genealogical institute and discovered Pawel’s maternal grandparents on a register of Warsaw Jews, along with her own grandparents. When Pawel confronted his parents, he said, they broke down and told him the truth: that his maternal grandmother was Jewish and had survived the war by being hidden in a monastery by a group of nuns. His paternal grandfather, also a Jew, had seven brother and sisters, most of whom had perished in the Holocaust. According to an apocryphal legend, Egyptian King Ptolemy Philadelphus (who ruled 285-246 B.C.E.) sent a delegation to a high priest named Eleazar in Jerusalem, who organized a group of 72 scribes to write a new translation of the Bible for the city of Alexandria. These men purportedly translated the Hebrew Pentateuch into Greek in only seventy-two days. A Jewish philosopher named Aristeas, records how the scribes felt inspired and arrived at a synchronous translation. Philo of Alexandria also claims that each of the translators, working under divine inspiration, arrived at identical phraseology as though dictated by an invisible prompter (Moses, 302). Scholars and lay-people often wonder what inspired the first translation of the Bible? Why was the first translation of the Bible written in Greek? What was the motivation of the early translators of the Bible? What did they hope to achieve? The real story behind the Septuagint almost reads like a good detective novel. Actually, there were many practical reasons why the Alexandrian Jews embarked on this most ambitious literary project. First and foremost, the Septuagint made it easier to educate a generation of Jews who had partially forgotten their ancestral language after having settled in Egypt. Alexandria rapidly became known as the Athens of the Ancient Near East. In fact, by many accounts, Alexandria rivaled Athens in brilliance. Established by Jewish merchants at the time of Alexander, Alexandria became the world’s first cosmopolitan city–comparable to what Paris now is in Europe. The world’s very first university was built in Alexandria; libraries containing the works of many great Greek thinkers and other famous non-Greek thinkers found a home in a society that was remarkably tolerant of different ethnic groups. Alexandria was proto-modern in a way that was unique. Obviously, the Greeks and Jews of Alexandria realized that both of their cultures had much in common. Greeks believed they had a chosen vocation to spread Hellenistic culture throughout the world; the Greeks were “chosen” by the gods to achieve this task. The Jews also believed that they have a chosen divine destiny to spread ethical monotheism throughout the world. Obviously, the Greeks were very curious about the Jews and their traditions. A new translation of their works made a lot of sense. For the Jews who lived in Alexandria, Greek was for these Jews much like what English is today for American Jews, the “lingua franca.” Greek was the language of commerce which made communication in the diplomatic and business world possible. Jewish masses forgot how to speak in Hebrew. Shmarya Rosenberg posted a correspondence he had with Rabbi Moshe Feinstein on the plight of Ethiopian Jewry. It is a valuable historical document–one that will most likely be studied by future generations. Here is the record of his correspondence with Rav Moshe Feinstein. I personally know of many prodigal sons and daughters of Lubavitch, people who left the famous Hasidic movement for a variety of reasons. Their stories are all too familiar to me. Some became disillusioned with its values and philosophy; others could no longer reconcile the contradictions of a modern vs. pre-modern lifestyle. In each of these personal narratives, it is always the individual who redefines his or her own identity. For members of any closed society, it is typically the community that does the defining. To leave this kind of world within a world takes a virtual Kierkegaardian leap of faith– into the realm of the unknown, where one undergoes a new kind of genesis. Or perhaps to use a more platonic metaphor, leaving Lubavitch is a lot like the man who left his fellow prisoners in the cave, only to discover a different kind of reality (The Republic, Book 7). Yes, life is a series of miniature rebirths. Here is a story about one man’s rebirth that I think many of you will find fascinating. Shmarya (Scott) Rosenberg is the owner of the Failedmessiah website. Shmarya’s spiritual journey is a remarkable one. He, like many of us, has taken the road less traveled. His story began when the late Lubavitcher Rebbe refused to get involved with the rescue of Ethiopian Jews. The Rebbe’s refusal ultimately resulted in Shmarya’s exodus from Lubavitch. In a personal letter he received from the Rebbe to Shmarya, the Rebbe wrote that “spiritually” rescuing American Jews from assimilation was an urgent matter that took precedence over rescuing the “Jewish” community of Ethiopia. Rabbi Schneerson probably felt that saving American Jews was a matter of triage. However, most of the other great rabbis of that era like Rabbi Moshe Feinstein and Rav Joseph Baer Soloveitchik, supported the rescue efforts regardless of the practical Halachic doubts some of them had concerning the “Jewishness” of the Ethiopian Jews. Even as of today, Lubavitch still refuses to have any kind of outreach with Ethiopian Jews, despite the fact they underwent Orthodox conversions in Israel. It is difficult to blame Shmarya for his animus against the late Lubavitcher Rebbe, but his alienation from the movement has led him to a renewed sense of personal and spiritual discovery. Shmarya has long since become a voice of Jewish conscience. He routinely holds the Orthodox world accountable for its countless misdeeds and foibles. Much in the spirit of the French philosopher and writer Voltaire, Shmarya reveals the Monty Python-esque characteristics of nearly all the great Orthodox rabbis of our present generation, and most of these anecdotes are outrageous. After reading his blog, one gets the inescapable feeling that the age of Gedolim (authentic rabbinic scholars who embody the best qualities of Judaism) has become either of thing of the past, or is an endangered species. In a century or two from now, future generations will find this material historically valuable; students will read Failedmessiah much like we now study the 17th century diaries of Samuel Pepys from London. Anyone interested, may want to read Shmarya’s critique of Rabbi Shafran, who recently blamed the Haiti earthquake on Jewish cartoonists who dared to castigate Orthodox outreach programs. His stories on the “holy Kabbalists” usually depict them as con-artists, who prey (pun intended) upon the gullible public. For the most part, Shmarya exposes a ruthlessness that exists within the Lubavitcher organization itself which its supporters never see. Frankly, Chabad can gain great wisdom from his criticisms. To his credit, the Failedmessiah has literally forced the entire Orthodox world to become more circumspect and responsible with its members’ group behavior. Without his website, it is doubtful whether the yeshiva world would ever have taken ownership of the pedophilia cases that exist within their rank and file members and spiritual leadership. Really now, shouldn’t the Orthodox members police their communities for everyone’s sake? Historically, such issues have always plagued Jewish traditional observant communities. Prior to the Internet and blogging, these scandals would have most certainly been swept under the rug, away from public scrutiny. However, thanks to Failedmessiah and other bloggers that he has inspired, a conspiracy of silence is no longer possible. However, much has changed in the last few decades in Israel. This simple Talmudic truth is no longer so obvious. A spirit of Haredi revisionism is making an assault on Jewish law that is far more threatening than anything else we have observed in Jewish history. Recently, the High Court of Justice was asked to overturn a determination of the Rabbinical High Court regarding the conversion of a Danish-Israeli involved in a divorce case. Nonchalantly, the couple had appeared earlier before a lower-ranking rabbinical court where the woman was asked if she observed Jewish law, to which she answered that she no longer did. Little did she realize the ill-treatment she was about to create for herself and her family by simply being honest with her interrogators. A bill of divorce was nonetheless arranged, according to Jewish law, but a divorce certificate was never issued. The court ruled that, as the woman is only,” ergo, there was no technical need for rabbinical divorce proceedings. They also said that by the same token, the woman and her children cannot marry Jews under Jewish law. The rabbinical court of appeals refused to reverse the lower court’s decision and thus the case arrived on the docket of the High Court of Justice. Writing for the Rabbinic High Court of Justice, attorney and Rabbi Shimon Yaakobi wrote a legal opinion for the stating that all conversions to Judaism are never “final,” but remain in a fluidic state of Halachic abeyance. Haredi rabbis maintain that they have the right to review the halachic status of any and all conversions that have taken place in Israel or elsewhere. We need to welcome the “Jews by Choice”–not repel them! I must confess. For decades now, I have never been a fan of the London Beth Din. I have felt this way ever since they invalidated Rabbi Shlomo Goren’s conversion back in the 1980s. Well, recently, the London Beit Din has earned my respect again–not because I believe in their halachic positions on “Who is a Jew?” but because they put Rabbi Yitzchak Schochet of Mill Hill Synagogue, chairman of the US [i.e., United Synagogue] Rabbinical Council, in his rightful place. Now, Schochet proposed the suspension a moratorium on all conversions within the Orthodox world community. Ditto. I could not have said it any better myself. We need to welcome the “Jews by Choice”–not repel them! Perhaps this is the one issue all denominations of Judaism can agree on. We may disagree on the method and procedure of welcoming them, but we can ill-afford to follow Rabbi Schneersons’ foolish follower in Great Britain who, unfortunately, reflects his movement’s deep animus and distrust toward converts. The late Rebbe was responsible for sowing the seeds of discord by insisting on a “giyur khalacha” standard–implying that there is only ONE way to interpret Halacha. Haredi leaders joined the Schneerson bandwagon and the Jewish world has been at odds within itself ever since. Thank you Rabbi Schneerson. Since when in the last 1800 years has any rabbinic court ever ruled for Jewish communities everywhere in the world? Historically, halacha has never been so myopic or narrow. Great scholars have always differed since the early days of the Pharisees, e.g., Hillel and Shammai. Revocation of conversions is expressly forbidden in Jewish law. The current “Who is a Jew?” issue as championed by the late Rebbe, continues to create discord at a time when Jewish leaders should be promoting unity. While I believe there are some fine Chabad rabbis serving their communities with distinction, its organization needs to discard their leader’s attitudes that are contrary to Jewish ethics, halacha, and especially–Jewish history with respect to those who consciously choose Judaism as their spiritual path. A third gentile was very impressed by the Priestly garments and came to convert. Again, Shammai dismissed him, but Hillel encouraged him to study more. After learning, he came to realize that even David, King of Israel didn’t qualify to serve as a priest in the Temple, because he wasn’t born a cohen.” The latter came back to Hillel and said, ‘O gentle Hillel; blessings rest on thy head for bringing me under the wings of the Shekhinah!’ Some time later the three met in one place; said they, Shammai’s impatience sought to drive us from the world, but Hillel’s gentleness brought us under the wings of the Shekhinah (BT Shabbat 31a). Hillel’s liberal philosophy endeared him to his entire generation because he personified kindness, patience, and a love for all people. Shammai’s machmir (stringent) philosophy, you might say, had a repelling effect. He probably could have benefited from Dale Carnegie’s “How to Win Friends and Influence People,” but self-help books did not exist in Shammai’s time. Rabbinic tradition acknowledges the Halacha follows Hillel’s liberal approach to the conservatism of Shamai (Soferim xvi. 9). It is fair to ask, why would the Halacha follow Hillel–the liberal–over Shammai, who was notoriously known for his ultra-conservative positions? The answer is simple; Hillel behaved like a mentsch at all times. The Jerusalem Talmud records a story where Hillel and Shammai once differed regarding the ritual status of grapes and olives. As with most arguments, the issue is not what either party is arguing about, it is rather, how and why they are arguing. As the controversy grew increasingly hostile, it appears that the Shammites turned violent against the Hillelites. To calm the crowd, Hillel showed his greatness by de-hostilizing the mob when he assumed a subservient position. Without fanfare, Hillel proved why he was so morally superior to his adversary, who probably viewed Hillel’s subservience as a “moral victory. ” Shammai’s abuse of his position was nothing less than idolatrous. Shammai’s personal disdain (or might it have been envy?) for Hillel grew so intense that “A sword was planted in the House of Study and it was proclaimed, ‘He who would enter, let him enter, but he who would depart, let him not depart!’ And on that day Hillel sat submissive before Shammai’s rulings, like one of the disciples, and it was as grievous to Israel as the day when the golden calf was made ….”  Imagine how one Jew turned against the other, as the Shammaites attempted to murder the Hillelites for disagreeing with their master. This was the day when one brother killed another brother–all for the sake of Halacha?! Eventually, a Heavenly Voice made Her Presence known at Yavneh, decades after the destruction of Judea and Jerusalem, which ruled that the Halacha follows the Academy of Hillel in every instance. And now you know–the rest of the story! Aristotle, “The Art of Rhetoric,” sect. 6, ch. 2.11. TB﻿ Shabbat 17a; ﻿TJ﻿ Shabbat 1:4, 9a (1:8, 3c); Tosefta Shabbat 1:16. See also Lieberman, Tosefta ki-Feshutah, Shabbat, p. 15, for clarification of the statement in ﻿TB﻿ Shabbat, “On that day Hillel sat bent over [i.e., subservient] before Shammai,” which implies that even in the days of Shammai and Hillel themselves, relations between them were difficult. This statement does not appear in the other sources. See ﻿Tosafot﻿, Shabbat 14b, ﻿s.v.﻿ Veillu Shammai ve-Hillel; S. Lieberman, Yerushalmi ki-Feshuto, pp. 38, 52. This is no great surprise for the reasons mentioned above. ﻿Tosafot﻿, Bava Meẓiʾa 59b, ﻿s.v.﻿ Lo va-shamayim hi. Posted in American Jewish Issues, Contrarian wisdom, Conversion, Current Events, ethics, good and evil, Halacha, Heart-Centered Judaism, Israel, Jewish History, The Future of Judaism Tagged Are the Haredim and Chabad the "New Shammites"?, Why doesn't the Haredi world emulate Hillel? While the government considers it a national task, the state of conversion in Israel continues to deteriorate. Official data indicate a 12% drop in the number of conversions to Judaism in Israel in 2009. Just 986 out of 300,000 people with no religious affiliation have converted to Judaism in the last year. The drop in the Israeli Defense Forces stands at 4% compared with 2008. The reason for this drop is because of the feeling shared by many potential converts who fear that the Haredi rabbis in Israel may invalidate their conversions for whatever the reason they conjure. Therefore, the state itself – no longer considers them or their descendants to be Jewish. What are the practical implications of such a scenario unfolding? 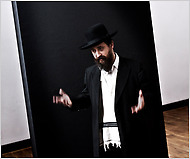 All denominations of Judaism–from the Reform to the Modern Orthodox–suffer from the Haredi approach Halacha that violates both the letter and the spirit of the Shulchan Aruch. In an earlier blog, I have already demonstrated why revocations of conversion has never existed until fairly recent times. In a country where all personal status issues – from birth through marriage, divorce, and death – are all controlled by Haredi rabbis, this means children who suddenly will not be able marry, spouses can’t be buried next to one another. Unfortunately, this type of policy making establishes a cast system where converts have a second class status. We have not seen this type of marginalization of an entire group of people since the Spanish Inquisition period, where the Marranos were singled out for stigmatization by their fellow Jews. Why is there so much distrust toward the “Jew by Choice” in the ultra-Orthodox world? Why didn’t Judaism become a large international faith like Christianity and Islam? If parallel worlds exist, I wonder what would the world be like if Judaism became one of the world’s largest religions? The question for some people may seem kind of funny. Can you imagine donating money to the government so that they could print the pictures of your parents or grandchild’s Bar Mitzvah on the national currency? But on a serious note, ask yourselves this question: Why didn’t Judaism attract the same following that Christianity and Islam later achieved? Historically, there was a time when Judaism during the days of Late Antiquity went out of its way to welcome non-Jews to Judaism. A sizable portion of the Roman Empire had Jewish citizenry. The Jews of Alexandria specifically translated the Tanakh into Greek to help attract new converts to the faith. Jewish thought made philosophers like Philo of Alexandria and Aristobulus popular scholars the Graeco-Roman world enjoyed reading. Yes, the Alexandrian Jewish community envisioned Judaism as a universal faith–a view that most the rabbis did not share because of their hatred of Hellenistic culture. Jewish efforts to proselytize gentiles was so successful that the Roman Senate decided to expel the Jews in the year 139 B.C.E. and later in the year 19 C.E., according to Josephus (Josephus, Ant. 18.81–84). Incidentally, the NT indicates that the Pharisees of Jesus’ time engaged in outreach efforts to bring in new proselytes, thus we read, “Woe unto you, scribes and Pharisees, hypocrites! For you compass sea and land to make one proselyte” (Matthew 23:15).